Mason-Dixon Knitting has a great knitting technique video you’ll want to check out if you ever knit lace. Twisted stitches in knitting are usually a mistake caused by putting the needle into the stitch the wrong way (or dropping stitches off the needle and putting them back on twisted). 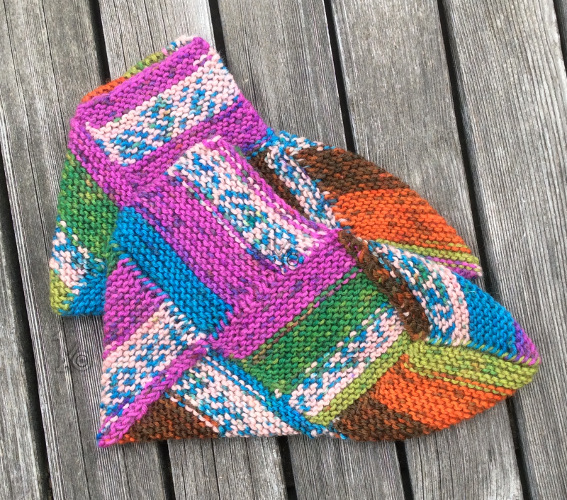 If you’ve wanted a chance to try your hand at knitwear design but you aren’t quite sure where to start, check out this free 10-day challenge from Aroha Knits. Different hobbies tend to have their own languages that are indecipherable to people not in the know, but in knitting the code can be particularly frustrating to break because so many abbreviations are used in knitting patterns themselves. Check out this cool technique for altering knit fabric by making cyanotypes — a fancy word for using the sun to make a blue print — from Studio Knit. Most knitters use stitch markers when they are knitting in the round to mark the end of the round, but many of us don’t use them as often as we should or could to make our knitting lives easier. Fisherman’s Rib is a great knitting stitch that looks like brioche but is a lot easier to knit than traditional brioche designs.